10 of the Best Grandma Gifts to help you show Grandma how much you and your family love and appreciate her. Grandma, Granny, Gran, Grammy, Nanna, Nan, Nannie, Nana, Mammaw, Mimi, Memaw...? Whatever her chosen name, Grandmothers hold a special place in our family structure and our children's hearts. Whether you live close or far, it's lovely to celebrate her with a gift at Christmas or on Mother's day which honors her special role as Grandmother. 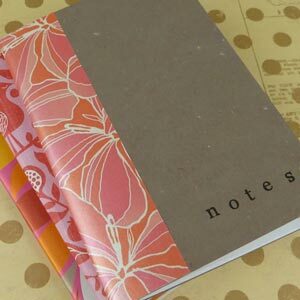 On this page you'll find a selection of 10 Grandma gifts that we love and we think your Grandma will too. Ask your children what they love about their Grandma and turn it into a subway art poster just for her. It's super sweet to capture what your children love about Grandma... and it might not be what you think! You can copy/paste this text into the subway poster maker if you want to use it as a starting point. She is the best Grandma ever! 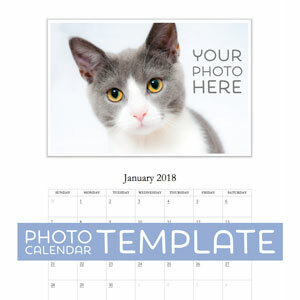 Easy to design, print, and frame at home, it's a homemade gift that looks shop-bought! Click here to make your personalized gift for Grandma. Choose a necklace which will remind Grandma of her grandchildren every day and keep them close to her heart. From family trees with birth stones representing each grandchild, or interlinked pendants representing the bonds of family, there are many beautiful jewelry pieces that really capture the relationship of grandmother and grandchild. Click here to browse Grandma Jewelry Gifts on Amazon. 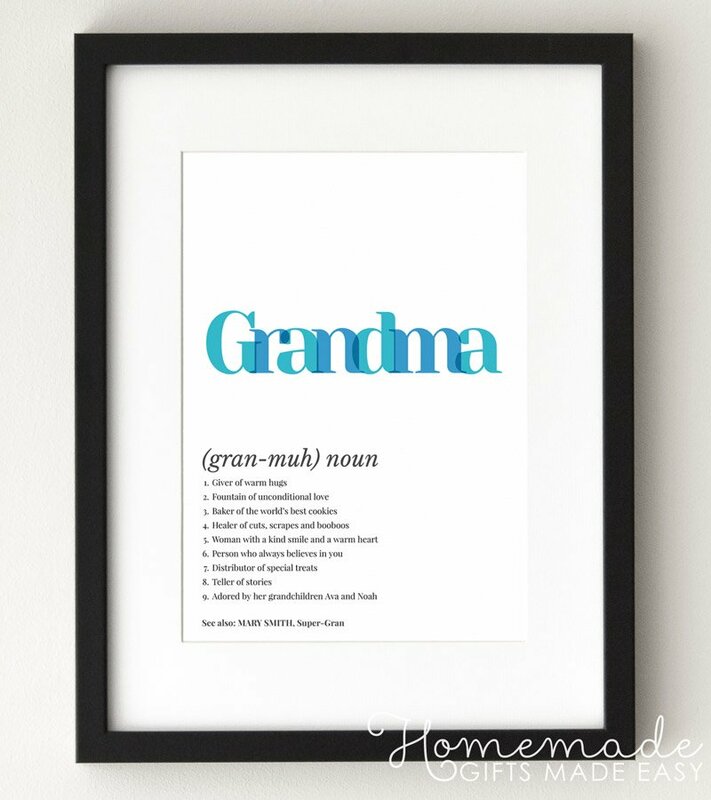 There are some beautiful prints you can personalize for Grandma to remind her of her family, whether near or far. From prints which include all the grandchildren's birthdays, to map prints symbolising your love for your grandmother despite the distance between you, there is sure to be a print that suits your situation. Click here to browse Personalized Grandma Prints on Amazon. These beautiful ornaments really capture the essence of a grandmother's relationship with her grandchild or grandchildren. They are an especially lovely gift for a new grandmother, or for a grandmother of a granddaughter, where you can celebrate the Grandmother-Daughter-Granddaughter relationship. Click here to browse Willow Tree Ornament Grandma gifts on Amazon. 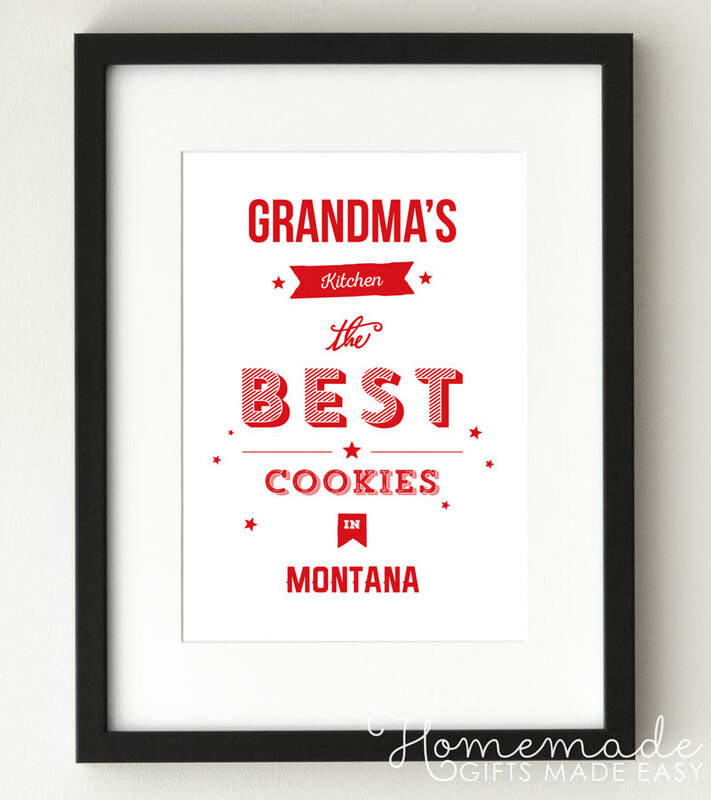 Make a gorgeous personalized "kitchen" poster and celebrate Grandma's amazing cooking ability! Does she make the best cookies?... Or is pie her speciality? Show her how much you appreciate her cooking with a framed poster she can put up in her kitchen. It's so easy to personalize the name, signature recipe and location using our poster generator. 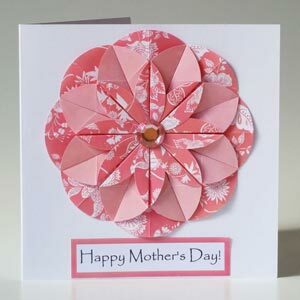 Choose from gorgeous color palettes, and personalize, download and print all from your own home! Click here to make your personalized Kitchen poster for Grandma. If the kitchen is the heart of the home, then this Grandma gift celebrates this special place with a personalized cutting board. "Meal's and memories made fresh daily"
"Everything is better in Grandma's kitchen"
a cutting board is a lovely gift for a Grandma who pride's herself in the warmth and welcome of her kitchen. Click here to browse personalized Grandma cutting boards on Amazon. Is your Grandma a super-proud granny who loves to wear her heart on her sleeve? Then a Grandma shirt might be just the thing for her! Click here to browse Grandma Shirts on Amazon. Spend some time collating photos of the grandchildren and make Grandma a beautiful photo family tree gift. This would be a lovely display in any grandmother's home, and she can proudly show off her extended family to her visitors. You can find some amazing family tree photo frames, from "tree"-shaped, to entire photo-wall frame kits, so it's a versatile idea whether you have a little or a lot of space. Click here to browse family tree photo frames on Amazon. Is your family spread far and wide? Collate video messages from all the grandchildren to give to Grandma so she knows how much everyone loves her, even if you don't see her very often. A tribute gift takes advance planning, but there are many online tribute services that will compile everyone's submission into an edited video that you can give to Grandma, so you don't have to be super tech-savvy! 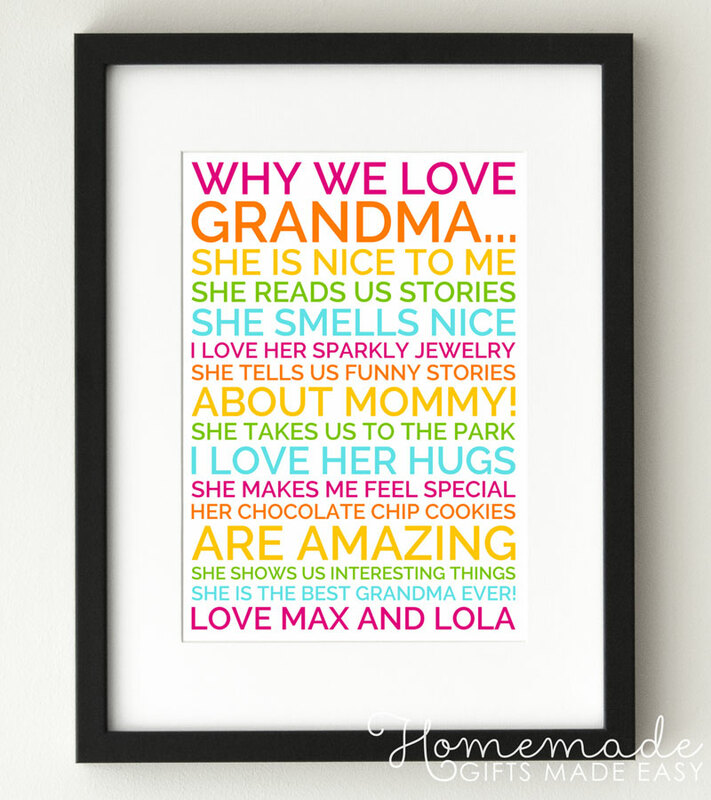 Make a personalized definition poster that celebrates all the brilliant things about Grandma! It's easy, with our online poster-generator! Silly or sweet, you can personalize the poster text with a message that you know she's going to love. Ask the children what they love about Grandma and include their ideas too! Want to write your Grandma a sweet message to let her know how much you love her? You can find plenty of inspiration on our 80 of the best Happy Mothers Day Messages & Quotes and 48 Fabulous Mothers day Quotes pages. If you're looking for more gifts for Grandma, then you might like these projects too. They all come with full tutorials and are easy to make at home.